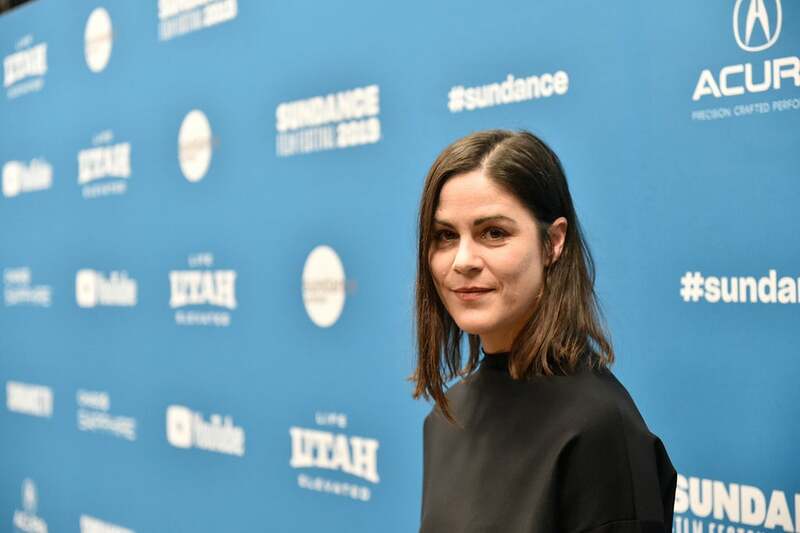 Norwegian director Anne Sewitsky is no newcomer to Sundance. This is the third time the director is in Park City to present a feature film. Her first time around was in 2011 when she won the Grand Jury prize for her film Happy Happy and she screened her film Homesick here in 2015. This year, she presented Sonja – The White Swan – a film about a strong and successful Norwegian figure skater whose confidence leads her to Hollywood and a big deal with 20th Century Fox. However, she did not always know how to handle success and is not a straightforward protagonist. Sonja – The White Swan is a film about a Norwegian figure skater. Who is the woman you portray? It is a film about a very ambitious character from the 1930s, who was way before her time. She became one of the best-paid actresses of her time. She did her thing and did not play by anyone else’s rules. It is about her rise and fall. She is very well known in Norway, but mainly because of an art gallery named after her. She was well known in the US for her ice skating movie career but that part of her career is not so known in Norway, so we wanted to make a combination of that. It is quite a jump from figure skating to acting. What made her think she could have a Hollywood career in the 1930s? She was a woman who was way before her time. She did not have any boundaries in terms of what she could and could not do. She did not play by the rules. In her movies, she plays very sweet girls, but in real life, she lacked social skills and was highly ambitious. Her focus was on being a winner. What did you discover about Sonja, while you were doing the film? We discovered that being that stressed and getting that much attention and having that one track mind, where you use a lot of narcissistic qualities, you lose your social skills a lot. We were not sure how much inside knowledge she had of herself and I think that is quite sad. She does not quite understand why she was losing people around her. You had to reenact skating scenes from Hollywood films and worked with figure skating choreographer Catarina Lindgren to do this. How hard was this? It was quite difficult doing the skating scenes. I knew nothing about skating before this and it was hard to make it both authentic and modern. That mix was difficult. Everything they did at that time was quite insane. Ine Marie Wilmann in Sonja – The White Swan by Anne Sewitsky, an official selection of the Premieres program at the 2019 Sundance Film Festival. In the title role as Sonja, is Ine Marie Wilmann. Did she do her own skating? She did have a double but also did quite a lot of her own skating. I cast her 5 years ago and she was also in my last Sundance movie by the way. She started from scratch. She hates speed and jumps and she had quite a ride just building her body and learning basics and then doing more and more. She was very persistent and wanted to do the most herself. You seem to have shot both in Norway and California. How long was the shoot? It was short. Just 37 days. We were in Spain in two different areas. We were in Mexico and Hollywood and tried to make that look believable and we were in Romania, where we did the interior and most of the skating. We had one day in Norway. It was logistically a big jump. You mention the ice skating scenes were difficult. Apart from that, what was the biggest challenge of making this film? Making a period piece where everything is supposed to look so fantastic and glamorous within our small Norwegian budget. The ice skating was difficult because it had to have the greatness and intensity about it. What is it like showing your film here at Sundance? It is my third time at Sundance, so it feels like coming back home. For some reason, my films go to Sundance. It is an amazing audience and there are so much creative and innovative things going on here and it is very nice to be part of that. It is great listening to the sounds the audience make and how they react to the film. It is not so far from how I thought it would be perceived. I think there would be a lot of discussion about her character and how sympathetic and not she was as a woman and how you perceive a woman like that then and today and how much can you challenge that or not. We still have a way to go.